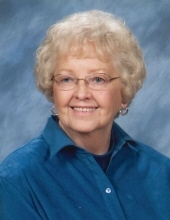 Barbara Joanne (Kensinger) Neill, 87, former longtime resident of Fredonia, Kansas passed away Tuesday, January 29, 2019, at Country Place Senior Living, Chanute, Kansas. Barbara was born June 30, 1931, in Fredonia, the daughter of Hubert and Edythe Mae (Chappell) Kensinger. She grew up in Fredonia, graduating from Fredonia High School in 1949, she also attended Pittsburg State University in Pittsburg, Kansas. On February 1, 1951 she was united in marriage to Max E. Neill and he preceded her in death March 17, 2002. To this union, three children were born: Steve, Kristie and Bruce. Barbara was in retail clothing for many years. She purchased Milady’s and it became Barbara’s Clothing Store for many years until she retired. She was a founding member of the local Bridge Club, previous member of 1st Presbyterian Church, 1st Christian Church of Fredonia, 1910 Club, Meals on Wheels, Red Hatters Club, Fredonia Regional Auxiliary, Arts Council Supporter, Flag Fund loyalist, Fredonia Golf Club and Senior Citizen Member. Barbara enjoyed playing bridge, golfing, collecting Santa collectibles and drinking Diet Pepsi with the Golden Girls at the Pizza Hut. One of her favorite activities was riding around town with her friends and her dog, Sugar. She was also known for her fondness for Dove chocolate candy. Barbara was a wife of a farmer. She was very generous, had a loving heart and just liked to be happy. 2 cousins Rocky Chappell of Olathe, Kansas and Michael Fisher of Jenks, Oklahoma. Special caregiver, Vada Joy and many caregivers at County Place Senior Living. She is also survived by many beloved sister-in-laws, brother-in-laws, nieces and nephews. Barbara was preceded in death by her parents, husband, 3 great grandsons and 1 step-great granddaughter. Celebration of Life Services will be held 11:00 A.M., Monday, February 4, 2019 at First Christian Church. Visitation will be held 10:00 A.M. until service time at the church. Private family inurnment will take place at a later date. Memorials are suggested to the First Christian Church of Fredonia and may be left or mailed to Wickham Family Funeral Home, 510 N. 7th, Fredonia, KS 66736. To send flowers or a remembrance gift to the family of Barbara J. Neill, please visit our Tribute Store. "Email Address" would like to share the life celebration of Barbara J. Neill. Click on the "link" to go to share a favorite memory or leave a condolence message for the family.